We at Bunnyslippers.com want to give you an exciting twist on the towel: hooded towels. Towels are usually pretty boring objects, sure they get the job done but they lack verve and character. 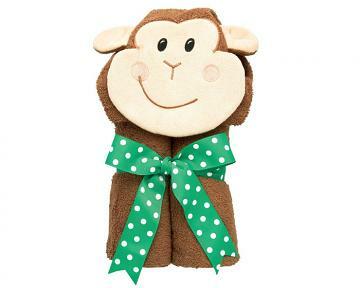 Our line of hooded towels includes animals of all kinds such as moose, monkeys and dogs. We are guaranteed to have any kid’s spirit animal in towel form. 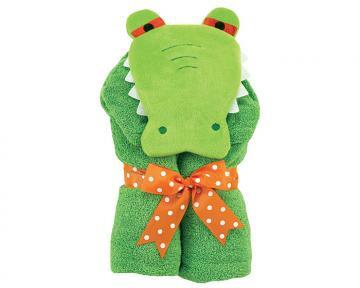 And in case we don’t have their favorite animal, we even have some non-animal offerings like our monster hooded towels. Whether you’re buying for a kid or someone who’s a kid at heart, they’re sure to find joy using a hooded towel to dry off or even just play around. The towel portions of our hooded towels are made from super soft cotton and the hood is made from a durable cotton and polyester mix. Our hooded towels for kids are perfect for a day at the beach or a dip in the pool.